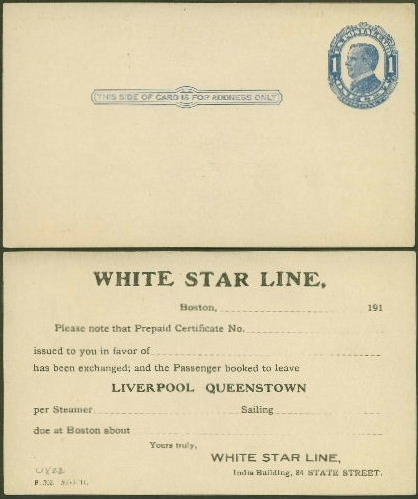 White Star Line was a very large company with interests throughout the Atlantic and beyond. 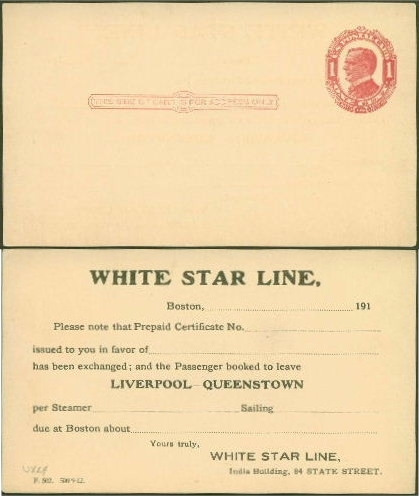 Like any big company, preprinted forms of communication helped speed things along. These fill-in-the-blank postcards were also pre-stamped with a 1 cent image of McKinley. The blue stamped card is cataloged by collectors as UX22 and is from 1910. The red stamped card is cataloged as UX22 and is from 1911.